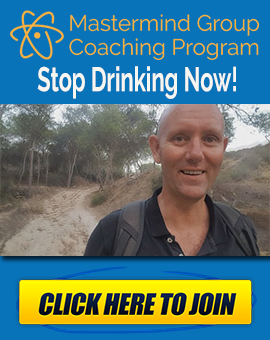 What Defines Us in Stopping Drinking? 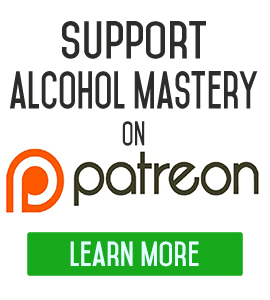 I’m Kevin O’Hara for Alcoholmastery.com and today I wanted to talk about just another video on when you try something and it just does not work out. Right? What should you do? What is it that builds your character? It’s all about how you look at things. It’s all about your perspective. It’s all about how you view that failure. I mean failure is not a great word, right, in a sense that it’s got a lot of negative connotation, right? It is sort of, well, “I am a failure” and “It was a failure” and many people take that at just being a final destination instead of part of the journey, which it is. Failure is a part of the process, right. It is a part of the process of any single change that you are likely to do in your life; you are going to have failures as a part of that, right? Think about when you were back in school, and the amount of times that you got something wrong and even the geniuses among us were probably geniuses only in one or maybe two subjects and the rest of the stuff, it was like…well, I read a story about Tiger Woods saying that he was so great at golf because that is what he spent his life doing. You know, like from when he was young a young boy with his father, his whole success was built around the dedication to this one single thing. That’s what most of these superstars in sports and whatever field you want to look at, music, and writing, many of these people started out at a very young age and dedicated themselves to this one pursuit. But in other areas of their lives, they were complete failures. If you look at their lives—like Tiger Woods and his personal life. But he has so much money that he can sorta hire other people to do most of the stuff in his life. and that’s got some truth in it but you have to look at the overall mentality from the first, how you view failure. 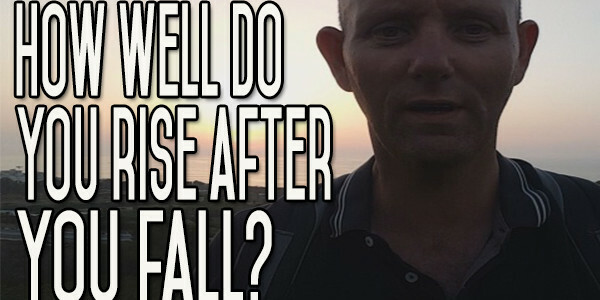 If you view failure as failure as being something bad, then it’s going to be that much harder for you to stand up once you have fallen and to try again…to go over the same situation…to sit there and think about it and mull over and think well where did I fail because your mentality, your framework is going to guide your thinking so if your mentality of failure is your fault then you are going to look at—start to examine failures as where to find the fault in yourself. If your framework is that failure is someone else’s fault, same thing goes, you are going to look at where someone else is at fault where as if you look at failure as part of the process as part of the success equation in order to get from A to B you’ve got to go through different stages, right? You’ve got to try some thing’s out. You’ve got to try and fail try and fail try and fail and eventually you will succeed. We are not talking about something here that we’ve got like a roadmap for, like I want to get from Guardamar, where I am now to Alicante….and I have got a roadmap or a GPS and I basically just get into the car, turn on the GPS, set the coordinates and the thing is going to take me to where I want to be. There is very little chance of failure in that, right, because I know the outcome. That’s the product of years and years of failures, other people’s failures to get you to that situation where you can jump in the car and you can go from A to B without any failures. How many failures do you think were involved in getting that product from the basic map we had from hundreds of years to the full GPS system relying on satellites? How many thousands of millions of people were involved in get in that from where the map was back then to where the GPS is now…to get you from point A to point B without any failures. Even if you say well, on that road you may come across roadworks and you may come across obstacles, accidents…they are not personal failures—they are obstacles in your way and your GPS will guide you around them and even if there’s a new built road and your GPS hasn’t yet updated, it will eventually bring you around. The technology is there to do that. But in order for that technology to get where it is there has to be a lot of failures on that road. Think about the earliest maps I mean, they were-most of that stuff was guesswork. I mean people were just going around saying, “Well, I think sort of this part of the country looked like that or looked like this.” There were so many unknown territories they just basically put them on the map. They didn’t know what was there. They’d just say here be dragons, you know, they didn’t know what was there, y’know, basically. They didn’t know if it was friend or foe, they didn’t know if there was navigatable waters. They didn’t know what the hell was going to happen. I am just saying that this journey of yours-you going into this journey of quitting drinking alcohol, it’s just really a journey of tales of the unexpected. You don’t’ know what you are going to come across. With good preparation, you can sort of nail down a lot of things and you can isolate a lot things that might go wrong. Things that might go right—directions you might want to take and by setting out good goals at the end of it you can sort of have a good rough idea of where you want to end up right? And, but there is no guarantee of anything. This is unexplored territory this is where they’ll be dragons on the map, right? This is your own personal tales of the unexpected. So you are going to experience failure and I have experienced so many different types of failures since I stopped. I’m not talking about drinking. That was the start of my journey. That was the beginning, right? Getting drinking out of my life was a prerequisite. I couldn’t have traveled onwards on this paritcular journey if I hadn’t have gotten the alcohol out in the first place. I’m not talking about failure in quitting the drinking because without that, without quitting the drinking everything else falls apart so there is no journey. You’re back right where you start and so I have had a lot of difference types of failure. I’ve had a lot of things that I’ve tried out where and just have not succeeded. A lot of things I’ve tried out that just haven’t worked. If that doesn’t work we can try something else. If that does not work we can try something else and kept going, kept going, kept going. You know everything that I do there is a certain element of failure involved in it, but sometimes I didn’t even know there was a failure involved until later on and so then you say I couldn’t have done this better. I could have done that better. Then you learn from it. And, you move on, right? But like I say, it’s always your frame of mind which is going to dictate the overall direction of your journey, right? If you’ve got a frame of mind that is completely focused on taking failure as something that is an inevitable part of the dynamic part of this journey, then you will never have a problem because whatever problem comes up you will always look at that and say, well, where’s the solution, how can I do this better, how can I move forward. So anyway…that’s it for today. Run off to the website and signup for the newsletter. Leave a comment down below. Until next time I am Kevin O’Hara for Alcohol Mastery. Have a good day. Keep the alcohol out of your mouth. Keep failures in their proper perspective and upwards and onwards. Do People Quit Because of Aging or Feeling the Effects of Alcohol? Quitting Drinking Pain in Joints - What to Do? How Long Does It Last? How Did You Resist Cravings to Drink Alcohol and Stay Motivated? I think this is a really profound message! Thank you for all that you do. I have been watching your daily videos for some time now. I love them, they made it easy when I gave up drinking 51 days ago. All thanks to you helping me rethink why I was drinking in the first place. Today’s video had a very special meaning to me. In the past 51 days I have slipped twice, once a glass of wine at a luncheon. I was very disappointed in myself. But then I thought “okay, one glass of wine is not the end of the world, forgive yourself and move on”. So I did that and things rolled along smoothly for the next few weeks. All was good. Then it happened again. I have no idea why. Again it was only one drink and again I forgave myself and carried on. Am I on the right track? I made two missteps and then just carried on not drinking again. 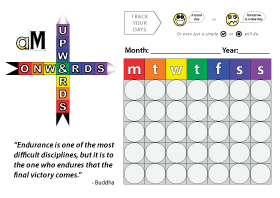 I’m hoping it will not happen again and I did not subtract those two slips from my 51 days sober. Should I have? I felt the disappointment in my self was punishment enough. Sorry for rambling but I would be very interested in your thoughts about this. First of all, the alcohol doesn’t get into your mouth without you putting it there. 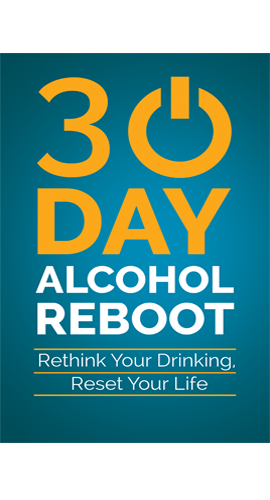 Having said that, you are talking about 51 days alcohol free except for a couple of drinks. That’s something to be proud of, not something to have to forgive yourself for. The journey is about no alcohol as the best possible outcome. If you slip, you slip. the thing is, you have to take full responsibility for the slip. You might not know the reasons why it happened, but you know how it happened… You picked up the glass and drank the contents. The only way it’s not going to happen again is if you don’t pick up the glass and drink the contents. There is a big sequence of events that happens in order for you to take a drink. First you have to have the thought that you want to drink, finally you take the drink. In between, there are a lot of moments when you can say no. You decide, you order a drink, you wait for the waiter to bring the drink, the waiter brings to drink, he puts in front of you, you lift the drink, you drink… Plenty of places for you to decide not to do it. hello kevin,i just wanted to tell you that I finally did it that,i’m in my second day of no alcohol,period..thanks!